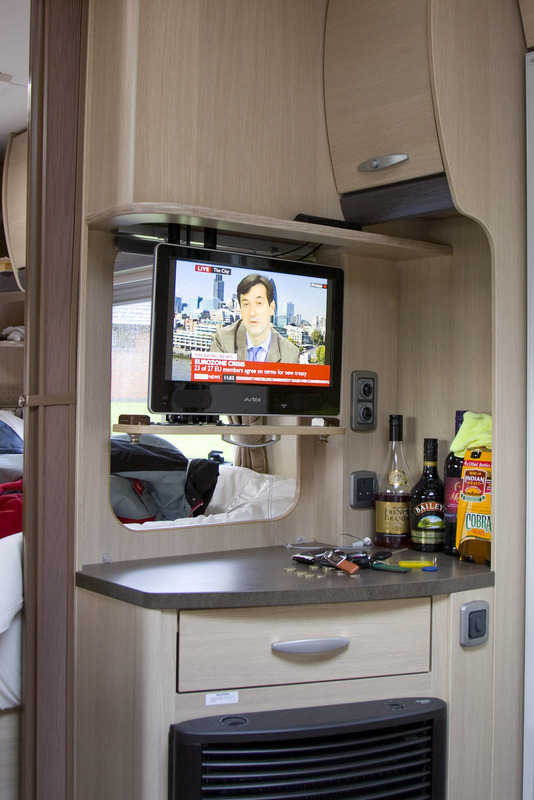 We originally used a Logik LED TV from Comet, but decided that changing over to a 12 Volt TV and mounting it in the drop down TV unit in the caravan was a step forward rather than having to unplug the existing one and pack it away every time we moved. I opted to buy the “TR” version of the Avtex range for two reasons… one it was cheaper and two it was lighter. The TR range does not have the DVD player built-in, which for us is not a problem. I couldn’t see any reason to have to think about packing a pile of DVD’s just on the off-chance we wanted to watch a DVD. However, I did want the option to be able to watch something we had recorded “locally” or something pre-recorded. This I could do as like most of the TV’s coming on to the market now it had a USB port that allowed me to use memory sticks or an external hard drive. Mounting the TV was almost straight forward. I had however read on Swift Talk that a couple of people had commented it didn’t swivel far enough to the left hand side of the caravan. Looking at the mounting, there was a simple fix. I use four ‘penny’ washers to pack out the right hand side mounting, which allowed enough ‘left’ off set to make viewing comfortable. The next challenge, was to mount the cables so that they were tidy (Sue has an aversion to curly wires hanging out of anything) Using some black sticky pads on the back of the TV I could anchor the cable securely and still allow the TV to swivel round. For the cables, I wanted thin, black cable that would not be obtrusive, so I made my own up to the correct length in the workshop. Once fitted and securely cable-tied everything was neat and nothing caught when raising or lowering the TV. The next thing to address was the colour balance. A number of people had reported that the viewing angle of the screen was good, but the actual picture quality was not what it could be. On initial viewing, I thought the colours were out. So, as there is an input for a computer display, I hooked up my MacBook and used Colour Vision’s Spyder2 software and colour detector. This generates colour test cards which the detector in front of the screen sees, then allows you to alter the colour set up of the monitor. It’s now set perfect… changing the hue, chrominance, luminance and colour temperature of the settings improved the picture to the extent it is good as our expensive Sony at home. The next thing to sort out was the sound. The quality was OK, but it could be improved. The TV has a handy feature, it will transmit the sound on a radio frequency, I found a suitable ’empty’ frequency and set the TV to transmit on this… and tuned the radio in the caravan to receive it. It was a big improvement, but could be better. There is some slight clipping and distortion, but overall much better. The next step will be to install a cable from the TV to the radio and use the input socket, designed for portable players to see if that can improve things further. The next test was to try a USB memory stick. I have a 16Gb HP that I had copied some m4v (Mp4) format files on to it. The TV would record and play any programme I set the TV to record, but I could not get it to play the m4v files. I could see them in the media selector… but it kept flashing up ‘invalid file’. I searched through the instruction manual… it should work. OK, time to check the files first at home. I would try again on the next trip out. I use a bit of free software on my MacPro called “Handbreak” to encode DVD’s to m4v files. A standard DVD usually takes about 12 to 15 minutes to copy. I tried a couple of more DVD’s and checked them on the TV in the office… they worked fine. Trying them on the Avtex TV… I could see the files, but they would not play. Time to ring the help desk. (Avtex Help Desk – 08448 806 161) Spoke to a very helpful chap and told me I need to turn the DivX setting to ‘ON’ and gave me the engineers codes. Simple to do: To access additional functions…. 2 – Enter code “2580” on the numeric keypad while select source menu is still on screen. 4 – Press ‘source to exit. For TV’s with a DVD player use engineers code 9210, and you can also set the region code to ‘0’ to watch DVD’s from any region. So with the changes made, I tried again. Perfect. We can now watch movies from a memory stick or hard drive. So far, I have encoded around 50 movies on a small hard drive…. just in case! Overall: The TV itself is quite robust, and once set up correctly performs well. The picture quality is good if you adjust it from the slightly iffy factory settings, the sound output from the tiny speakers is OK, but is improved by listening to it through your caravan’s radio. 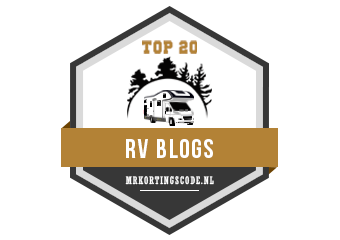 An improvement may be to have an internal radio aerial plugged into the caravan radio to improve the clipping noticed when using the sound transmit function. A bigger improvement still might be using the headphone output from the TV to the MP3 player imput on the radio. That still has to be tested, and I’ll need to sort out the impedance mismatch, I’ll let you know how that goes on. Is it worth the money? – In my opinion YES. How do you tune your radio to receive from the AvtexL185TR? You first need to find a ‘free’ frequency on your caravan radio – say 93Mhz for example. Then on your AVTEX TV go into set up menu and find the tools icon (tabs on left hand side). You will see “FM Transmit” which needs to be set to ‘ON’ and below that “Transmit Frequency” which needs to be adjusted to the same free frequency you previously tuned your caravan’s radio into… i.e 93Mhz.